AAntique and heirloom rings, passed from one generation to the next, are charged with memories and meaning. Jeweller Alison Macleod (alisonmacleod.com) captures this spirit in her new collection of engagement and wedding rings. Her ideas are inspired by the shapes, textures and patterns of the antique jewellery she comes across in museums and curio shops, which she incorporates into jewellery that reflects the past while giving it a modern feel. All her wedding and engagement rings come in vintage boxes, which she collects from antique and junk shops, to add to the uniqueness of each ring. 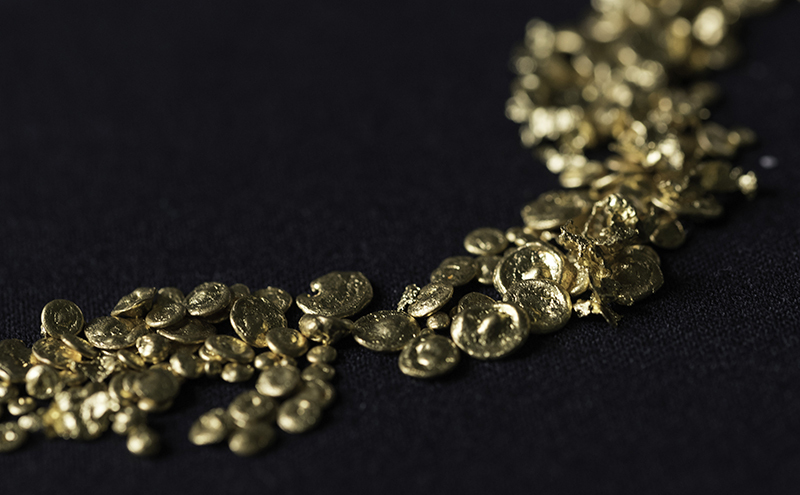 So, remortgaging is not necessary – unless you really want to, of course: diamonds and precious metals are often wiser investments than property! 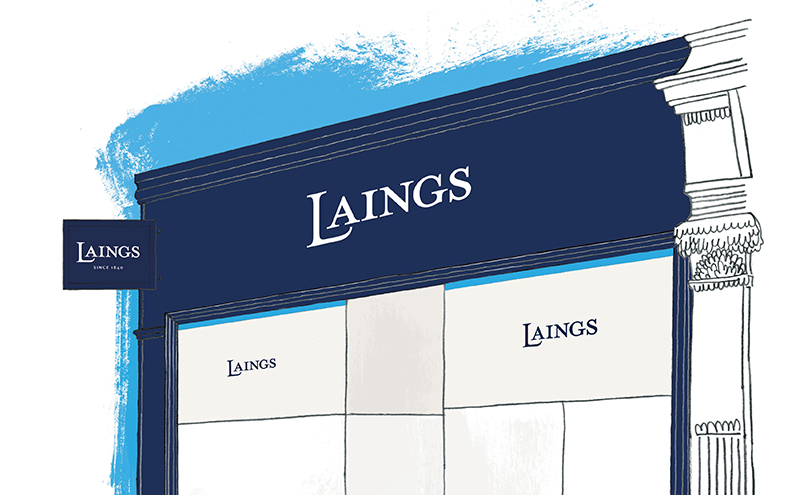 Cut, clarity, colour and carat (aka the four Cs) are the key factors to consider when buying diamonds, says Richard Laing, director of Laing Edinburgh (laingthejeweller.com). “Not all diamonds are equal in quality and value for money. EEngraving a wedding band boosts its sentimental value immeasurably. Francesca Flynn at The Ringmaker (theringmaker.co.uk) shares a lovely anecdote. “A client came to us recently with a family signet ring that had been engraved inside more than 100 years ago. The ring was well worn but the inscription was perfectly preserved. He wanted a simple wedding ring in white gold but loved the history of the engraved details. 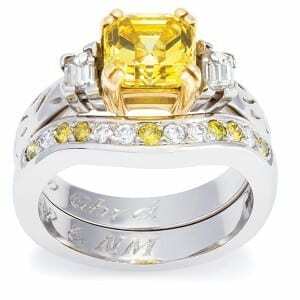 It’s possible to have a simple message or date engraved in your rings, or something more complex. “Hand-engraving has more of a traditional italic style, while laser engraving is carried out using a machine so has a very crisp appearance,” says Francesca. 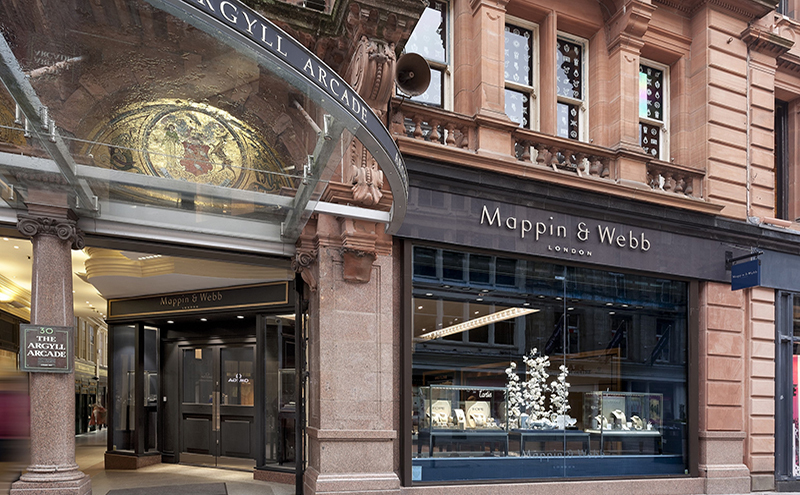 FFingerprint engraving has been massively popular with couples at John Macintyre & Son (johnmacintyre.co.uk), according to Lauren O’Neill, marketing manager at the Glasgow jeweller. “This new engraving choice uses the latest laser technology to produce results that will last a lifetime. We send out an engraving pack including an ink pad to transfer your fingerprint onto the paper provided. Post this back to us and we will transfer the fingerprint into your ring,” she explains. Prices for the service range from £99 to £185. GGift for the groom. You’ve got two sparklers on your finger. Surely your new husband deserves something amazing to commemorate that most special of days? “A watch makes an ideal present to give to your husband-to-be on the morning of your wedding. 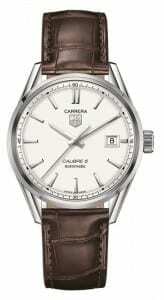 As well as being something to treasure, a well-chosen dress watch can add the perfect finish to his outfit. He’ll also have no excuse not to be there on time, or be late ever again,” chortles Richard at Laing Edinburgh. “We have seen an increase in brides and grooms choosing watches as an alternative to wedding bands in the last few years, as not all men are comfortable wearing a ring. HHalo Nope, not the one that slipped after one-too-many tequilas on the hen night, but one of the most sought-after styles of engagement ring at the moment. 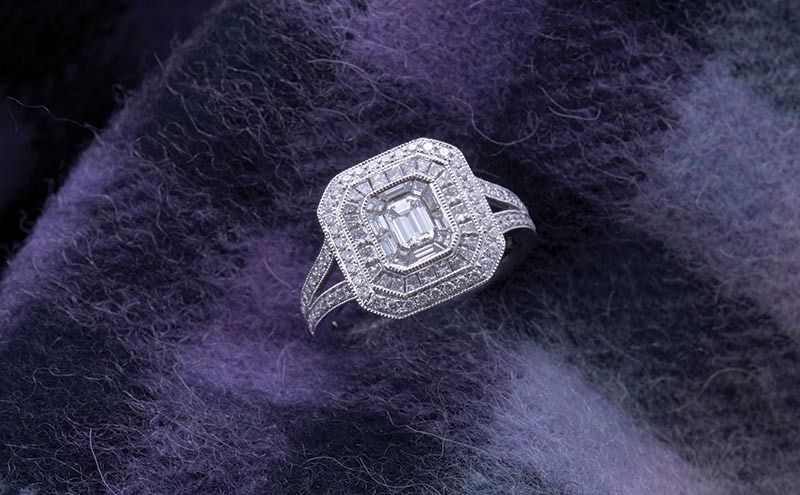 “Diamond-set halo engagement rings have been building in popularity recently,” says Louise at ROX. “The delicate design encompasses one feature diamond surrounded by a ‘halo’ of smaller diamonds,” she says, explaining the look. 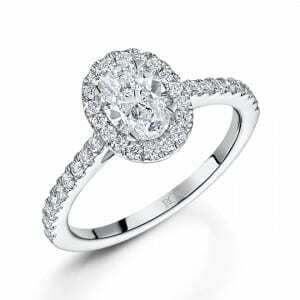 The circle of light that this style emits is very alluring and can make even a modest central diamond look much bigger and sparklier than it actually is. And with celebrities such as Kim Sears and Natalie Portman sporting this style of ring, the trend looks set to continue growing in popularity. IInsurance Don’t forget to update your home insurance to take account of your new rings, says Mark Richards, private-client director at Bruce Stevenson Insurance Brokers (brucestevenson.co.uk). 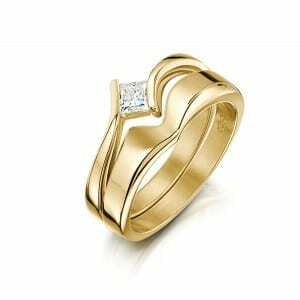 “Engagement jewellery is of great sentimental worth and represents a value beyond that of money. It is therefore even more important to preserve and protect it for replacement or repair. 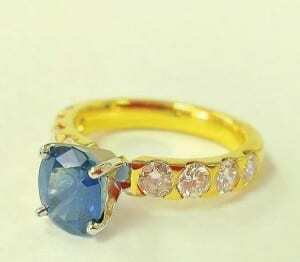 Gemstones are increasing in value at a fast rate. This means that if you do not have them insured properly, replacing them will be very costly.” And it’s not just the risk of theft or the total loss of an item that you should be thinking of insuring against, he says. “Relatively common insurance claims are as a result of damage – losing a single stone which may fall out of its setting – or losing one of a pair earrings. This leads to the need for repair or partial replacement to restore the items and help maintain the sentimental connection. Often only if the items are insured for their full replacement value will such a claim be paid in full by the insurer,” he cautions. Why on earth do married couples wear these small circles of metal on the fourth finger of the left hand? It seems that the whole idea may have its origins in ancient Egypt, where newlyweds gifted each other rings woven of hemp or reed. 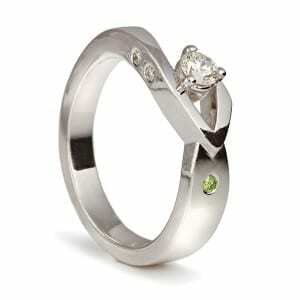 The circle holds the same significance now as it did then – a symbol of eternity and never-ending love. And why that particular finger? The ancient Romans thought it had a vein that linked it directly to the heart. Aw, bless! Romance was clearly alive and well even in the dim and distant past. Diamonds may be one of the hardest natural materials known to mankind, but that doesn’t mean they are impossible to damage. “Diamonds will not scratch, but impact can make them chip or smash,” explains Stuart McGill at Glasgow’s James Brown & Partners (jamesbrownjewellers.co.uk). “If stones hit off something hard, they can be dislodged and become loose, or even fall out of their settings. “I’m truly inspired by where I live,” she says. Brought up on a farm surrounded by the land, sea and sky, the Orcadian designer has become renowned for her bold pieces, both traditional and contemporary, in a series of captivating collections that have won her fans across the globe. Sheila Fleet OBE (sheilafleet.com) designs and makes her unique pieces of jewellery in Orkney. “So many of the pieces I design originate in the shapes and forms of the land and its reflections in the sea – images I grew up with and still see every day,” she adds. NNecklace. Nicely ticking the ‘something blue’ box, this glittering necklace is part of the new Flora range at Edinburgh jeweller Hamilton & Inches (hamiltonandinches.com). Inspired by the private garden that once bloomed in the courtyard of the house on George Street where the store is based, the collection comes in white gold with marquise-cut aquamarine and cabochon-cut labradorite [pictured] or yellow gold with rutilated golden quartz and citrine. MMade to measure. Even though they are beautiful, many off-the-peg rings are mass produced, which means there are hundreds or even thousands of identical rings out there. If you want something truly unique, you could go down the bespoke route. The Ringmaker is just one jeweller that offers a design-from-scratch service. Francesca Flynn explains how the process works: “Our studios in Glasgow and Edinburgh offer a relaxed and welcoming environment where designs are drawn exactly to scale in front of you. OOn the day. Since small expensive items (such as rings) are much easier to mislay than large expensive items (such as wedding gowns), it’s no wonder that couples often wait until the week before the big day to pick up their rings. “The collection date is up to them,” says Jane Fleming at Celtic Art (celtic-art-ltd.com). “But with so much to organise, sometimes they prefer to wait until the last minute.” It’s traditionally the job of the best man to look after the rings on the day – get him to double-check his sporran or inside jacket pocket! And to avoid that dreaded ‘ring won’t go over the knuckle’ scenario? “I’d suggest applying a little hand cream before the ceremony, just to ensure the ring slips on easily,” Jane advises. PDiamond ring aside, pearls are the ultimate bridal accessory. 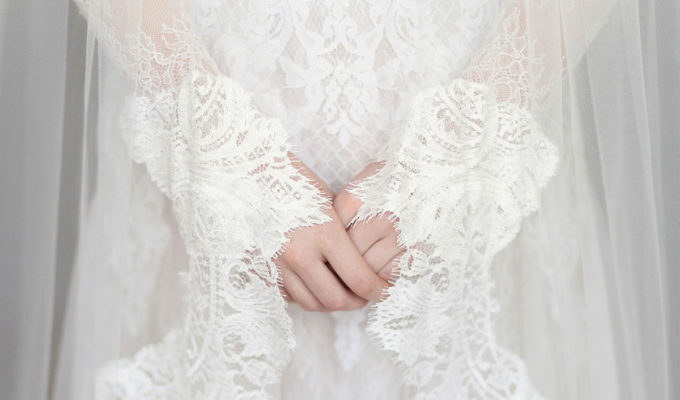 “They are a fantastic complement to any wedding dress as they cover a spectrum from pinks and creams to greys and blacks – meaning brides have a full choice to match their wedding colours,” points out Harry at Chisholm Hunter. “They are very elegant too, and create a timeless look.” The ancient Greeks believed pearls to be associated with love and marriage and even thought they could bring marital harmony! “Pearls are traditionally passed down to your descendants, so purchasing a string of pearls will create a family heirloom,” adds Harry. RRose gold continues to grow in popularity among brides-to-be, according to Richard at Laing Edinburgh: “Gold has always been the traditional metal for rings, but many brides are now also choosing rose gold for their wedding jewellery. Rose gold is made from pure yellow gold alloyed with some copper. It has a lovely delicate, warm colour that will suit almost any skin tone, and looks particularly beautiful when set with diamonds. 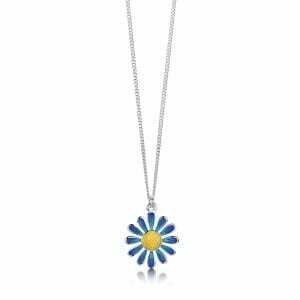 If you love a vintage feel to your jewellery, this is certainly the metal choice for you, but it also suits contemporary designs,” he notes. SSize matters when it comes to fitting wedding jewellery. 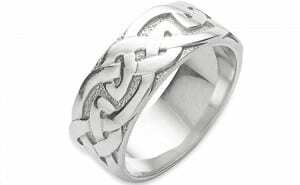 Jane at Celtic Art elaborates: “Finger size is measured using little ‘rings’ or ‘ring-sizers’ that have letters on them that refer to the size of the finger. We have heard all sorts of funny stories about people trying to check their partner’s finger size without them knowing, so they can make a surprise proposal. TTogether forever. ‘Fit-in’ rings that feature an engagement and wedding ring carefully designed to sit together perfectly are becoming a hugely popular choice with couples. “They have been designed to complement each other, and symbolise harmony and a united approach to the future,” says Sheila Fleet, whose ‘fit-together’ engagement and wedding rings come in silver, gold, palladium or platinum and can be made to measure in almost any size. WWhen should you start thinking about your wedding rings? “As early as possible,” suggests Celtic Art’s Jane Fleming. YYours forever. While the metals and stones in rings will last longer than a lifetime, you still need to give them a little TLC every so often. “We normally tell our customers to have their rings polished once a year at the most – we have specialist equipment and are trained in polishing so we would always suggest that the rings be brought into the workshop for polishing,” says Stuart McGill at James Brown & Partners. “As soon as you start wearing your bands, you should try to pay attention any time it hits off anything. It sounds silly, but every time you hear it hitting something it is probably being marked or scratched. If you take note, you will be able to adapt your habits and the bands will stay like new for longer,” he adds. ZZirconia (okay, it’s cubic zirconia – we’ve cheated slightly here!) 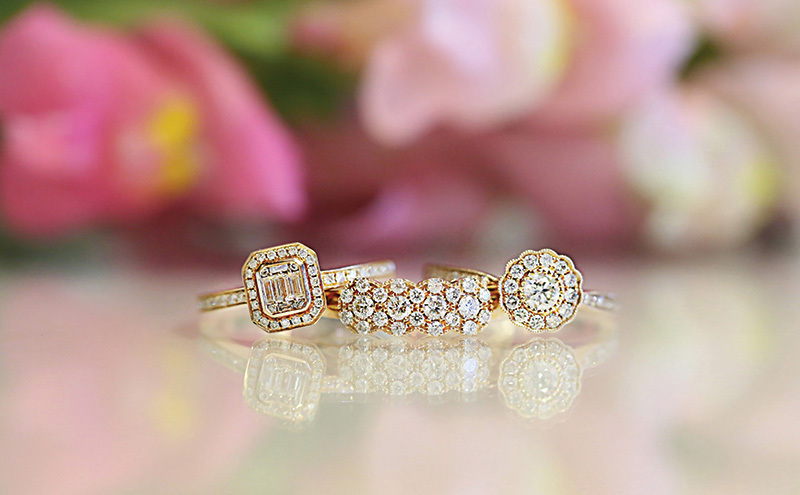 and other simulated or lab-grown diamonds may never have the heirloom appeal of the real thing, but they can be a girl’s best friend on her wedding day at least, especially if budget doesn’t allow a splurge on that two-row diamond tennis bracelet that you really, really want! Alongside their fine diamond collections, lots of jewellers offer lower-price pieces consisting of man-made diamonds set in sterling silver that pack plenty of punch in terms of sparkle. Shhhh! We won’t tell if you won’t!